Ginger is my favorite holiday spice! Pumpkin is all fine and good, but it’s gingerbread I wait all year for. I’ll order a Gingerbread Latte any day over a Pumpkin Spice Latte. This year, I discovered ginger paste that’s basically fresh ginger that has already been ground up. It’s sold in a jar with the refrigerated herbs and minced garlic at the grocery store. And it’s AMAZING! So I stocked up. Then I made everything gingerbread I could think of. 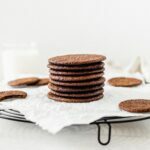 The first thing that popped into my head were gingersnaps, so that’s what I made! 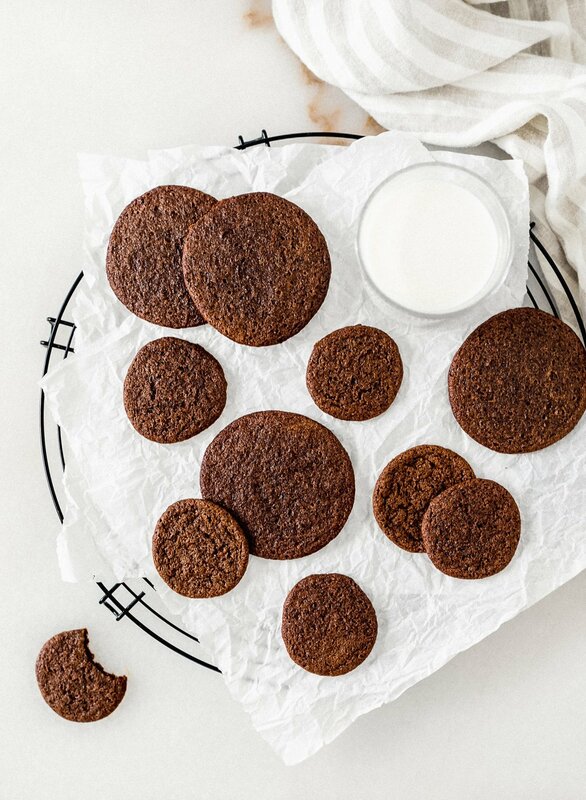 Warning: These easy one bowl gingersnaps are highly addictive. They are the perfect crispy-but-chewy texture and filled with lots of spicy ginger goodness. (They’re also whole wheat and nobody can tell!) They are so yummy with a mug of spiced apple cider. My aunt even had the idea to take some home to have with some mulled wine… yum! 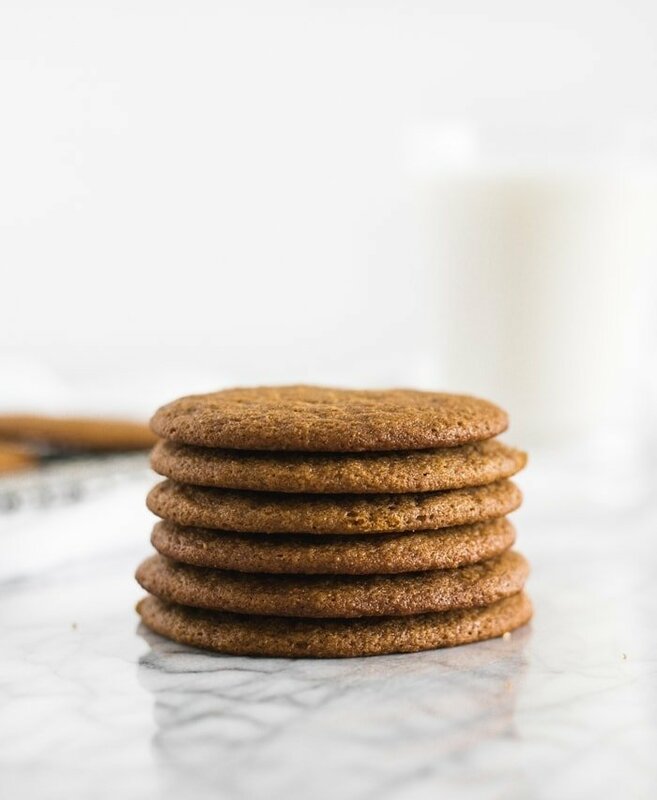 I highly advise you to bake some gingersnaps this holiday season. They are perfect to get you and your guests into the holiday spirit, and are so yummy to snack on. They’d also be perfect for a Christmas cookie exchange! In the bowl of a stand mixer, or in a large bowl with a hand mixer or whisk, combine butter and sugars and mix until well blended. Add molasses, egg, vanilla and ginger. Whisk until combined. Add flour, baking soda, salt, and spices into bowl with wet ingredients. Stir until combined. Scoop into small balls. Roll to shape and place 1 inch apart on a cookie sheet lined with parchment or a silicone baking mat. Bake cookies 6-8 minutes until golden. Remove from oven and let cool a couple minutes before transferring to cooling rack. What to use in place of coconut oil ??? Hi Rochelle! You can use butter instead of coconut oil! ?